How much is Theresa May Worth? 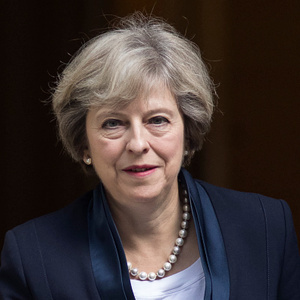 Theresa May net worth: Theresa May is a British politician who has a net worth of $2.5 million. Theresa May was born in Eastbourne, Sussex, England in October 1956. She is a member of the Conservative party and graduated from St. Hugh's College and Oxford. She married Philip May in 1980. Theresa May served as a Member of Parliament for Maidenhead beginning in 1997. From 2002 to 2003 she was Chairwoman of the Conservative Party. May served as Minister for Women and Equalities from 2010 to 2012. From 2010 to 2016 she served as Home Secretary. Theresa May became the Leader of the Conservative Party in 2016 as the Prime Minister of the United Kingdom the same year. She became the 14th Commonwealth Chair-in-Office in 2018. May worked for the Bank of England and the Association for Payment Clearing Services. She was unsuccessful in running for the House of Commons twice. In 2018 a vote of no confidence for her leadership was triggered.